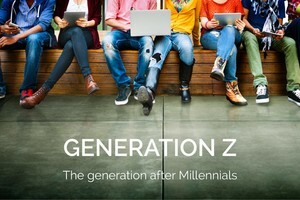 Young adults of Generation Z, defined as the cohort of people born from 1997 on, are entering the workforce and will change the rule book just as the Millennials did. As true digital natives, members of Gen Z have been raised in an age of smartphones and high-speed Internet. They grew up using tablets and laptops for their schoolwork. They embrace new technologies and apps. Print newspapers, maps, landlines, phone books…members of Gen Z are not likely to want or need any of these. They have never experienced the “joys” of dial-up modems, pagers, or trips to the library to use an encyclopedia. They take for granted the ease of obtaining information instantly - about anything, anytime, anywhere. Ironically, while many members of Gen Z are “always on,” connected to others via social media and tethered to their smartphones nearly every waking moment, they also report high levels of loneliness and mental health issues. A 2018 survey conducted by CIGNA showed that Generation Z is the loneliest generation and reports being in worse health than older generations. In the workplace, members of Gen Z tend to prefer face time with colleagues and bosses and actively look for feedback. Gen Z members have also grown up in a world where malware, ID theft, and online fraud are rampant. However, loss of privacy is less of a concern to Gen Z than older generations polled. Many young adults are comfortable sharing their personal data on Facebook, on online shopping sites, and with apps that track their eating, sleeping, and exercise habits. In the workplace, a dizzying array of apps and messaging options used by employees poses security and compliance challenges for IT departments. This is especially true in the health care and financial industries. With years of texting as a primary mode of communication, many Gen Z members lack effective business writing skills. As part of the onboarding process, some companies match their young hires with mentors who have been with the company for some time and understand the culture and social norms. These mentors coach new employees, help them adapt to their new work environment, and model the social skills necessary to succeed. Each generation faces challenges integrating with older generations in the workplace. Gen Z is no different in their quest for meaningful work that aligns with their values. Just as they have much to learn when they enter the working world, they also have much to offer. Exposed to the global marketplace at an early age, they tend to have an entrepreneurial streak and are open to new ideas. And accustomed to continual advances in technology, they recognize that learning doesn’t end with college. The willingness to master new skills, be flexible, and welcome change are qualities valuable to any employer.